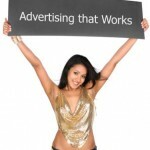 There are many different ways to advertise your business online. Although we will discuss three basic steps to help you get started, there are many more that should come after that as you become more comfortable with the online platform. The internet holds a great deal of potential for your company. All you have to do is start working now to reach that potential and see the success you crave for your business. Although the internet works very quickly, it still can take time to establish yourself and gather a following of loyal customers. To begin, start with the following three steps and prepare your business for a bright and fruitful future! If you haven’t already, you need to make sure your website is completely search engine friendly. SEO is a vital part of success in the online world. Keywords help consumers find you while also guiding web crawlers to your pages. When a web crawler visits your site, it works through each page and indexes it. New content will attract the web crawlers which means you will be indexed again. This is a good thing, so do not be shy about adding fresh content regularly. Always review content to make sure it meets your SEO requirements before posting. Organic SEO is the best way to form a solid foundation to build your website’s popularity on. Choosing the best keywords is very important when learning how to advertise your business online. The keywords you choose will determine who sees you and who doesn’t. Before adding any keywords, make sure they are not only frequently searched but related to your product or service. Throwing in keywords simply because they are popular is not a good idea. First, it will look bad to search engines (which are very smart these days). Search engines like Google can often detect discrepancies in the way your content relates using keywords. Second, it will deter human visitors from returning. If you mislead someone into coming to your website, there really is no reason they should return. Make sure you use keywords that are relevant as well as often used to search for products and services like those you offer. Many free tools are available to help you explore all your options. Once you have a solid list of keywords, it is time to start your advertising campaigns. Pay per click (or PPC) campaigns are a good way to begin. You can choose which keywords you would like to use and select a maximum per click rate you are willing to pay. You can also set a daily or overall maximum so you always remain comfortably within your budget. In time you will learn which keywords do well and which do not. The more you practice, the easier it will become to advertise your business online. Should You Work with a Targeted Online Advertising Service? Why Do You Need a Solid SEO Strategy?